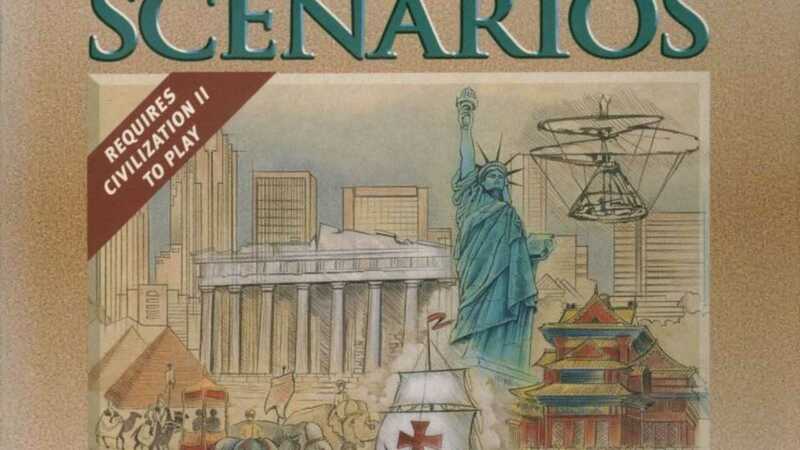 An expansion pack to Sid Meier’s compelling strategy game Civilization II, the rare Scenario Disk Conflicts in Civilization includes 20 bonus scenarios, including eight “Best of the Net” scenarios created by fans of the series. Sid Meier’s Civilization II Scenarios: Conflicts in Civilization is a single-player historical turn-based strategy game, and the first expansion pack to Civilization II. It contains 20 new scenarios; 12 made by the expansion pack developers, and 8 “Best of the Net” scenarios created by series fans. These were the fan-made scenarios that were “deemed the best by the developers”. The game was developed and published by MicroProse. The game was “produced by the players and the development team, including some of the script and the ‘new content'”. This content contained new worlds, new maps, units, an updated technology tree and new music. The game also allowed players to create their own custom scenarios. it was released November 25, 1996. The game was included in the Civilization II Multiplayer Gold Edition and the Sid Meier’s Civilization Chronicles Box Set. The latter was released for the 2006 Christmas and holiday season. Ultimate Civ II, a multiplayer version of Civilization II, included both II and Conflicts in Civilization. The game has been donated to the Strong National Museum of Play. The majority of battles in the scenarios are based on genuine historical events, such as the American Civil War, Alexander the Great’s conquests, the Crusades and World War I. However, there are also a few fantasy scenarios including the stopping of an alien invasion, and surviving after a nuclear apocalypse. Copyright © 2014 - 2019 SocksCap64, All Rights Reserved. Logos, Trademarks, Pictures Belongs To Their Respected Owners. Powered By WordPress. 101 Queries in 0.423 seconds.